There are many destinations to visit in India when it comes to the spring season. The onset of spring is the ideal time for nature lovers to explore best of it. Similar is the case with Tulip Festival in Kashmir, the heaven on earth. Kashmir is more or less known as the most unrest part of our country, so rarely one can think of visiting this beautiful city. But the people identifying with the city thought of encouraging such activities which can fetch more tourism with optimistic approach for Kashmir Valley. 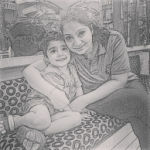 In this blog, I am also trying to highlight some extraordinary things which could be fun for your family and children. Formerly known as Siraj Bagh, and Model floriculture Centre; Tulip Festival is conducted in Indira Gandhi Memorial Tulip Garden, which is named after eminent Indian Prime Minister. It was opened in 2007 to promote tourism. Why Is This Festival Important For Your Child? While shortlisting the destination for vacations, we always think of the most suited attraction with children. Thus, Tulip Festival tops the chart being an informative place for your child and you can celebrate the Festival of flowers with great enthusiasm. You all must be very fascinated with the details I have mentioned over here. 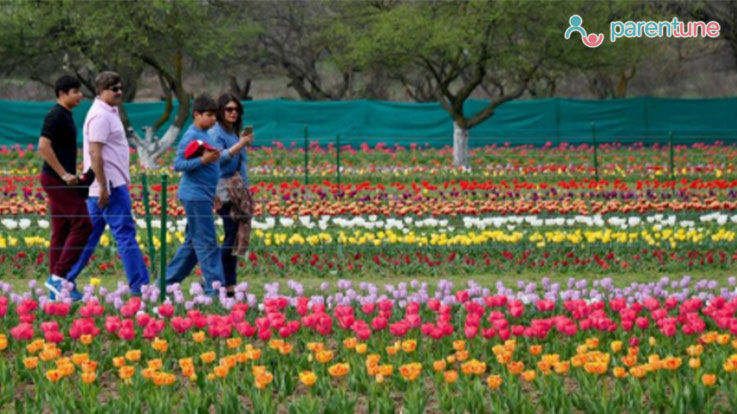 So don't miss the opportunity this year to witness the unique Tulip show in Kashmir valley, as the flowers will definitely appear more real and colourful than the textbooks your child have. Spare time and plan your travel to the enchanting hills of Himalayas!